Native to tropical Africa, where it has been used as an antidote to poison arrow wounds, aloe vera reached Europe in ancient times and was well known to the Greeks and Romans as a wound herb. The sap is cooling and healing and for centuries has been used to treat burns, inflammation, and skin ulcers, while the whole leaf is purgative. Internal use is restricted in some countries. Aloe latex, prepared by cutting transversely the leaf near the base and kept in an inclined position, is used for its laxative effect and should be distinguished from aloe gel, used both in cosmetics and in ointments for skin ailments. Aloe whole leaf is another preparation, used as an oral medicine. Aloe latex contains anthraquinones and is completely different from aloe gel, a colourless gelatin obtained from the central portion of the aloe leaf. It is an ingredient in teas for dieters because of its laxative effect and is found in body-cleansing products as well. Split open a leaf and use the gel directly, or scrape it out with a blunt knife. Apply directly to burns, sunburn, dry skin, wounds, fungal infections, diaper rash, shingles, ringworm, insect bites, allergic rashes, eczema, or any itchy skin condition. Burns should be held under cold water for at least 10 minutes before applying aloe vera. Cut off a few leaves from the aloe vera plant, trying to pick the leaves that are closest to the ground. Place the leaves in an upright position for a few minutes to let the darker resin drain out. Once the resin has drained, wash the leaves, then using a knife peel off the thick skin of the aloe vera leaves. You will be left with the transparent gel. Place the gel into a blender and add a few drops of either grapefruit seed extract, vitamin C powder or vitamin E oil in order to help preserve the gel for longer period. Blend everything together and pour into a sterilised jar, and use as directed above. Will keep for several months in the refrigerator. Made from the whole pulped leaf. Take 1 tsp (5ml) 3 times daily for constipation or take 10–60 drops (0.5–3ml) 3 times daily for poor appetite or to stimulate bile flow in sluggish digestion. Do not use for extended periods of time. Commercially made from powdered leaf. Use in 100–500mg doses for constipation. Do not use for extended periods of time. Combine 2 tsp (10ml) of gel with 1/2 cup of standard chamomile infusion and use as a conditioner. 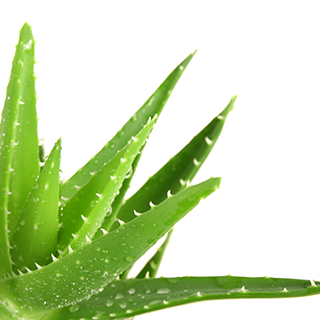 Add 8 ounces (240ml) of distilled water to 2 ounces (60ml) of Aloe Vera gel to water bottle and shake well. Combine with other herbs for facial splashes or other skin remedies. Remove the top area off of the plant and cut the long stem into about 2 inch pieces, then place them in the the freezer. Once frozen, store them in a zip top bag or container and place back into the freezer. Use as needed directly on the skin for burns or sunburn. Prefers well-drained sandy soil in full sun with a moderate summer water supply and dry winters. Usually propagated by breaking off and replanting the small offsets that appear on mature plants, but can be grown from seeds sown in spring or early summer at 70F (21C). It is usually grown as a houseplant in temperate areas, however it benefits from being kept outside in warm summers. Collect the gel and leaves from plants as required throughout the year.